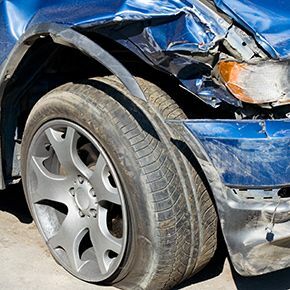 Despite the negatives that follow an automobile accident, you can still salvage the situation – and your vehicle. Just choose the services of Dan's Kamloops Collision Centre. When you want Kamloops, BC collision repair services, we have the skills and knowledge to repair your vehicle in a timely manner. As we choose equipment to restore your vehicle, you can trust that we rely on only the most trusted tools to get the job done. We also complete each task with care and attention to deliver a finished product and exceed your expectations. In addition, we train our employees to use each piece of equipment with experience and ease. At Dan's Kamloops Collision Centre, we hold several accreditations, including distinction as a collision repair shop. When you bring in your vehicle for our certified collision repair services, you'll find that each technician you meet is both professional and amply trained to make repairs. We understand that dealing with insurance companies isn't always easy, either. To make this situation easier, we offer trained professionals to help you navigate your insurance claim. We'll stay in touch with your insurance provider to ensure that they understand the damage and how to proceed with your claim. Even if you are insured outside of British Columbia, we work with insurance companies across Canada and its provinces. Whether your collision was serious or mild, let our certified technicians provide the service and knowledge you need. To obtain capable post-collision services near Kamloops, BC, contact us at 250-374-2523 today.